The New World Symphony plays Carnegie Hall. Tuesday night at Carnegie Hall featured a rare New York appearance by the New World Symphony, the Miami-based training orchestra that has given that Florida city fresh musical life. 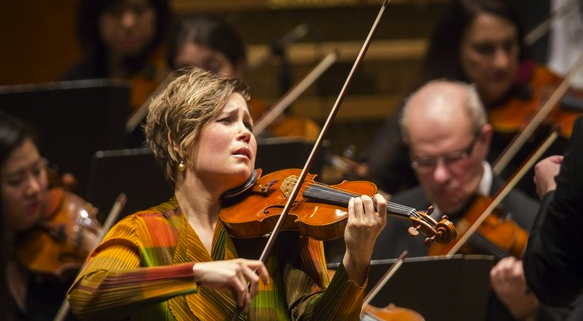 Led by founder and artistic director Michael Tilson Thomas, the NWO played an eclectic program centered around solo violinist Anne-Sophie Mutter. The German violinist, celebrating 35 years as an international touring virtuoso is one of this season's Perspectives artists at Carnegie. The Merry Widow returns at the Met. 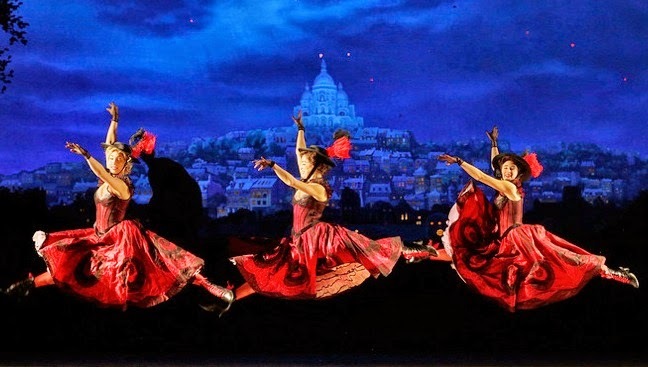 Flying over Gay Paree: three Grisettes in Act III of the Met's production of The Merry Widow. The Metropolitan Opera's new production of Lehár's The Merry Widow is back on its stage. This time, it is Susan Graham, back in the title role of Hanna Glawari, the young and glamorous Pontivedrian heiress at play in the City of Lights. This production, (which starred Renée Fleming when it bowed on New Year's Eve 2014) is the first Met show by Tony-winning director and choreographer Susan Strohman (The Producers.) Under the baton of principal conductor Fabio Luisi, Monday night's performance had considerable energy if little poise as the orchestra bashed through the composer's catchy tunes. Don Carlo bows at Opera Philadelphia. 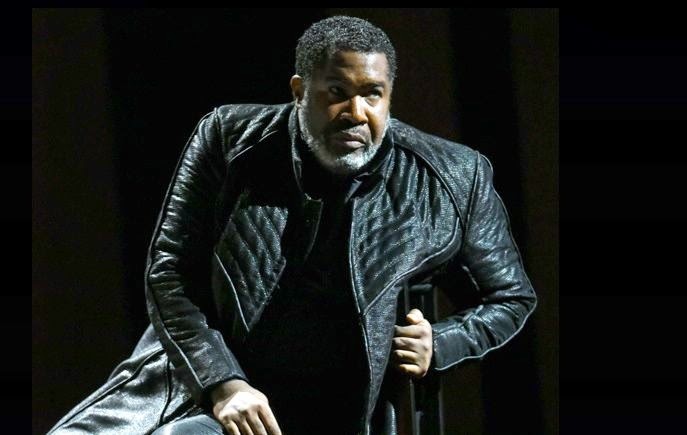 A lonely crown: Eric Owens is King Philip in Opera Philadelphia's Don Carlo. Photo provided by Opera Philadelphia, photography by Kelly and Massa. 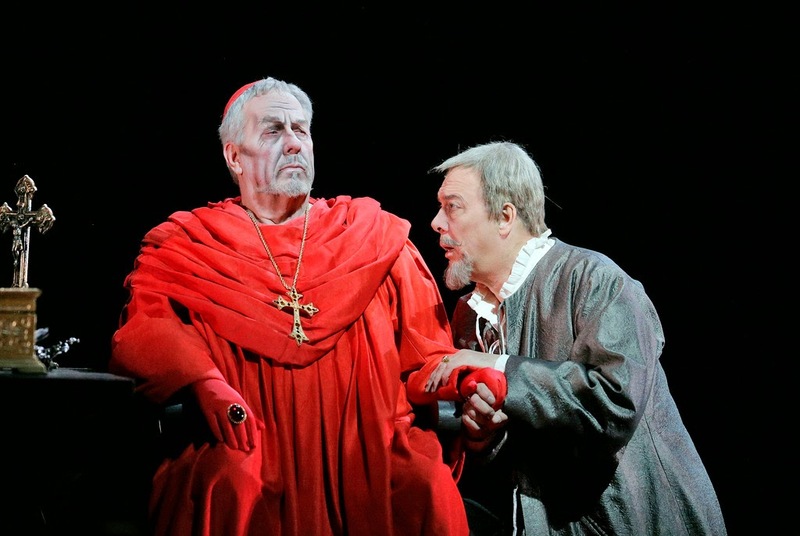 Don Carlo is Verdi's longest and grandest opera, playing out illicit passions and familial betrayals in the court of Spanish monarch King Philip II. In 1883, Verdi radically altered Carlo, lopping off the first act, adapting the libretto to Italian and rewriting key scenes. This new production by Opera Philadelphia (which will also visit Washington and Minnesota in coming seasons) adapts this stripped approach. On Sunday afternoon, the results were a taut, lean performance, with the brisk tempos of conductor Corrado Rovaris lending a sense of urgency to this long opera. Juilliard Opera stages Le Nozze di Figaro. as Cherubino (Virginie Verrez) looks on. Photo by Ken Howard © 2015 The Juilliard School. 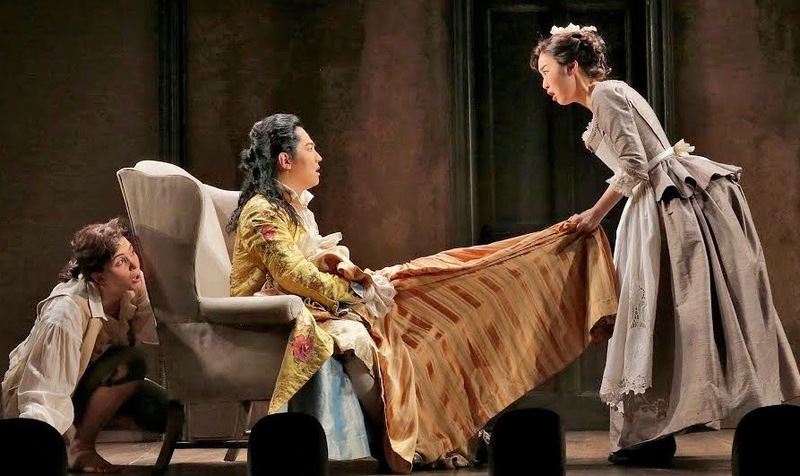 On Friday night, Juilliard Opera opened its last production of the spring season, a Stephen Wadsworth staging of Le Nozze di Figaro with a stellar young cast and a staging approach that was refreshingly true to the opera's text. This is the third (and final) Mozart/Da Ponte opera to be mounted by Mr. Wadsworth at Juilliard on the stage of the Peter Jay Sharp Theater. With designer Charlie Corcoran, he continues to rely on simple multi-proscenium sets, period costumes, lots of stage action, and young singing actors thoroughly steeped in performance tradition. Dorothea Röschmann and Mitsuko Uchida at Carnegie Hall. 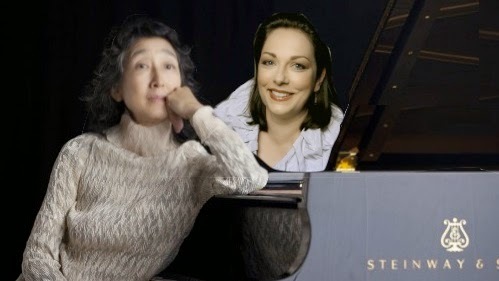 Pianist Mitsuko Uchida (left) and soprano Dorothea Röschmann. Original photo of Dorothea Roschmann © Sony Classical. Photo of Ms. Uchida by Justin Pumfrey © Universal Music Group. Photo alteration by the author because it's nice to have them in the same picture. Every once in a while in this business you get to see something unique. That happened on Wednesday night at Carnegie Hall, when soprano Dorothea Röschmann gave a lieder recital accompanied by a world-class pianist: Mitsuko Uchida. It is unusual to hear an internationally known virtuoso and a regular touring visitor to Carnegie Hall with a vast repertory in the role of accompanist, but the pairing proved inspired. The evening, a stop on the artists' current North American tour, featured art songs by Robert Schumann and Alban Berg, in a concert that made the cavernous Stern Auditorium seem intimate and warm despite the crowd in attendance. 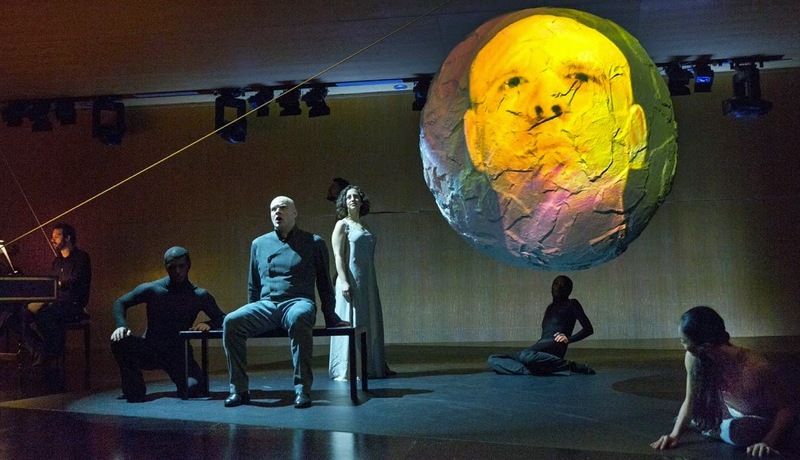 Stravinsky's searing morality tale returns for just three performances. in The Rake's Progress. Photo by Jack Vartoogian © 2014 The Metropolitan Opera. The last Met production of the season is the company's revival of a 20th century classic. 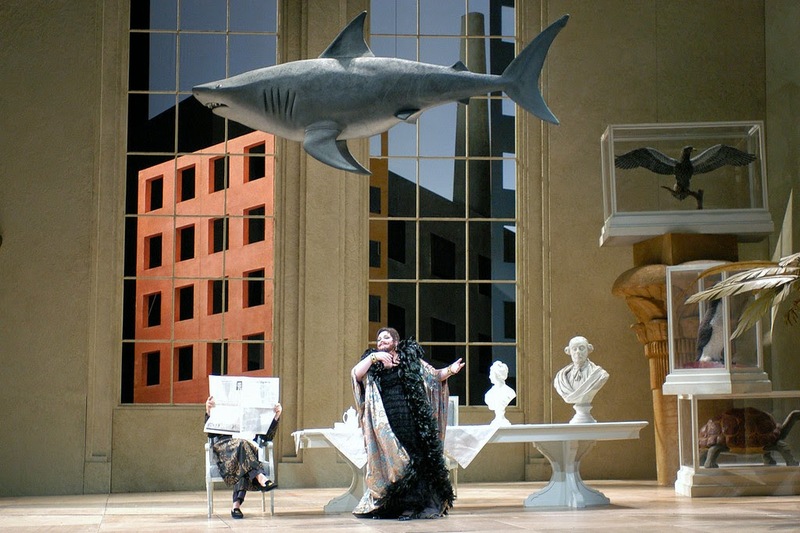 Jonathan Miller production of Stravinsky's opera stars Juilliard-trained tenor Paul Appleby (Two Boys) in the title role. Two major new works at the NY PHIL BIENNIAL. 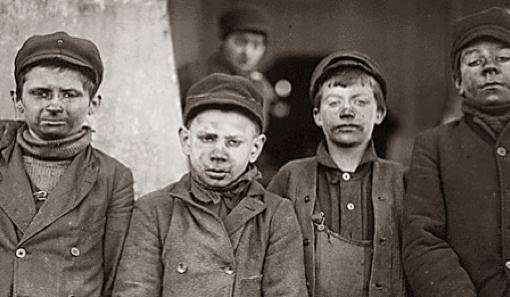 "Breaker boys" are featured in Julia Wolfe's Anthracite Fields. Photo from the Anthracite Heritage Museum. Editor's Note: In honor of Julia Wolfe winning the Pulitzer for her piece Anthracite Fields, we are we are re-posting this review of its New York premiere from last year. Congratulations to Ms. Wolfe! In Pennsylvania's coal country, the borough of Centralia stands abandoned, due to an underground coal fire that forced citizens to flee the once-thriving municipality. Last week, the NY PHIL BIENNIAL unveiled two works that reminded one of that abandoned town: Julia Wolfe's Anthracite Fields and Steven Mackey's Dreamhouse. In their own way, each composition illustrates the dangers of the American dream, whether in the forced labor and brutal conditions of the coal mines or the uncertainty and terror of the decade following the collapse of the World Trade Center. Andris Nelsons and the Boston Symphony Orchestra at Carnegie Hall. Conductor Andris Nelsons led the BSO at Carnegie Hall. Photo courtesy the Boston Symphony Orchestra. Andris Nelsons and the Boston Symphony Orchestra continued their three-night stand at Carnegie Hall Thursday night with a program featuring Beethoven's Violin Concerto bookended by watershed works from the pen of Dmitri Shostakovich. Mr. Nelsons' stamp on this orchestra is beginning to make itself heard: a painstaking attention to orchestral detail and an almost intimate podium style that makes himself and his baton part of the working ensemble and not merely its music director. 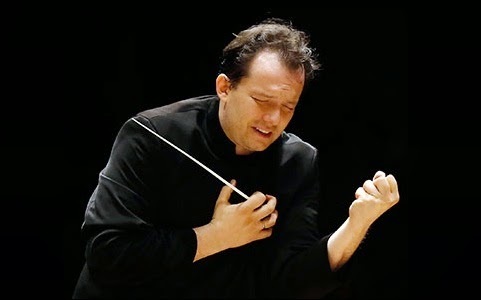 Andris Nelsons conducts the BSO at Carnegie Hall. 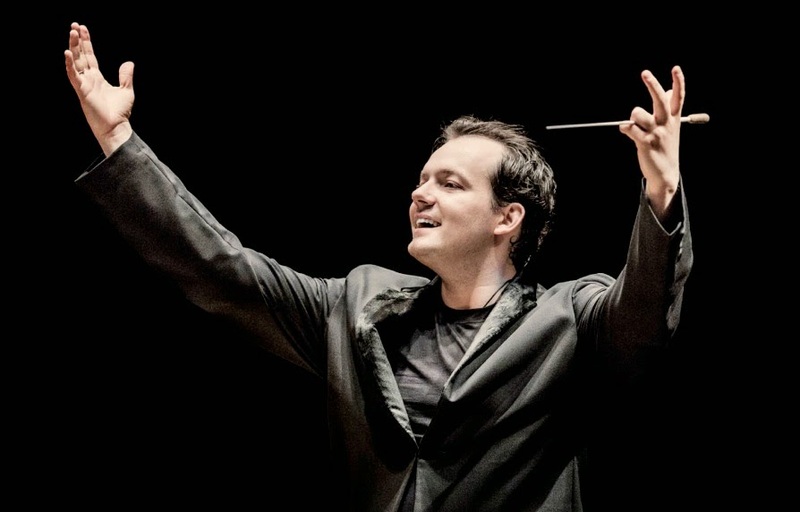 New Boston Symphony Orchestra music director Andris Nelsons. Photo by Marco Borggreve. © 2014 The Boston Symphony Orchestra. The Boston Symphony Orchestra has a new music director. Andris Nelsons has appeared at Carnegie Hall with that storied ensemble before, but Wednesday night marked the Latvian conductor's first New York performance with the BSO in his first season occupying the post. For the first night of three programmed concerts, Mr. Nelsons chose a program emphasizing the inner monologue of the creative mind, playing works by Mozart, Gunther Schuller and Richard Strauss that delved deep into the psyches of their respective creators. A new Cavalleria Rusticana and Pagliacci bows at the Met. 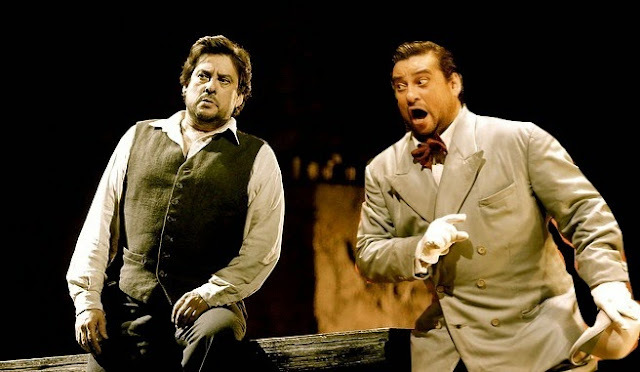 and Canio in Pagliacci (right, insert) in the Met's new David McVicar production. 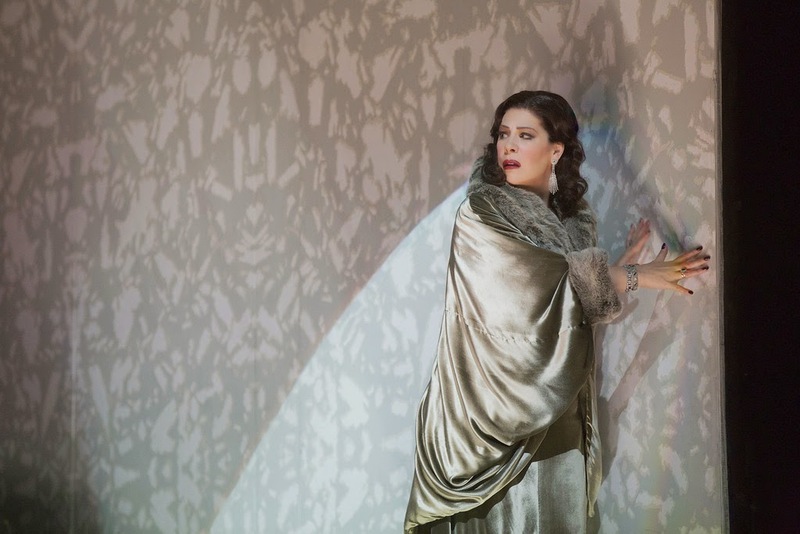 Photos by Cory Weaver © 2015 The Metropolitan Opera. Photo insertion and alteration by the author. At the start of David McVicar's new twin-bill production of Cavalleria Rusticana and Pagliacci, (which premiered last night at the Metropolitan Opera) the curtain rises well before the opera starts, to reveal an enormous circular acting surface, surrounded by chairs. A dim, religious atmosphere pervades the stage, aided by the dark lighting design and the minimal set: huge, vaulted brick walls looming in the darkness. Until the orchestra starts, it's not clear if the first half of this famous pairing (the operas were first staged together at the Met in 1893) is being played, or if it's another new Met production of Parsifal. Jordi Savall at Weill Recital Hall. Jordi Savall (left) and his viola da gamba, made in 1697 when William III was King of England. The bass viol or viola da gamba is a musical instrument that went out of vogue around 1700, with the sudden upward rise of the violoncello and other members of the violin family. Of modern orchestral instruments, only the body if the double-bass, with its sloping shoulders and distinctive pear shape bears any resemblance to the Renaissance viol. 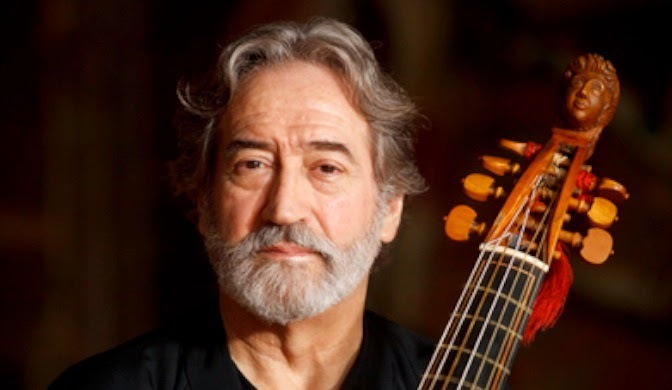 In the hands of master gambist Jordi Savall, who played a solo recital to a packed Weill Recital Hall Monday night as part of Carnegie Hall's ongoing Before Bach series, it is a rich and uniquely expressive instrument, uncannily like the human voice. The Lord of the Rings concludes at Lincoln Center. 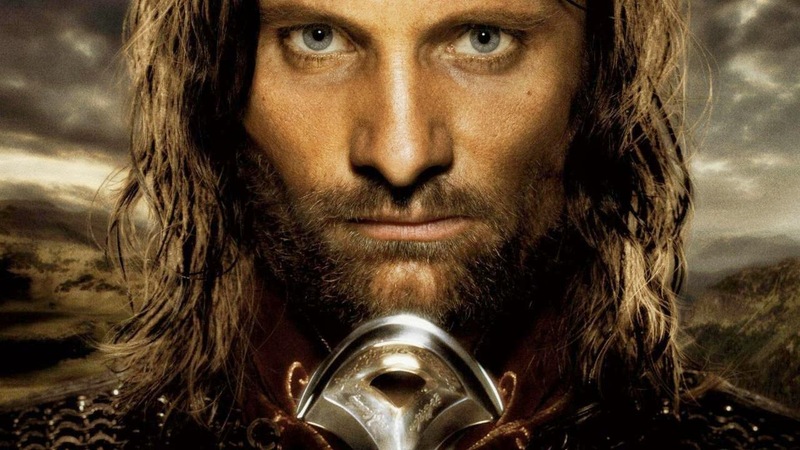 Down with the King: Viggo Mortensen as Aragorn in The Lord of the Rings: The Return of the King. Photo © 2003 New Line Cinema/Wingnut Films. 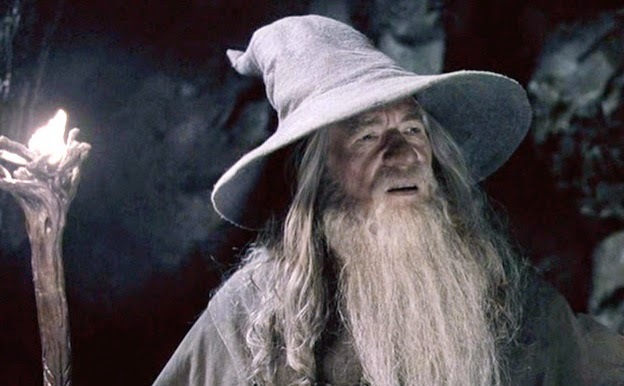 On Friday night, at Lincoln Center, the 21st Century Orchestra and Chorus, under the baton of music director Ludwig Wicki, premiered the score from The Return of the King, the third and final chapter in his ground-breaking film trilogy The Lord of the Rings. The performance, at a packed David H. Koch Theater, presented the performers with a considerable challenge, a three-hour gesamstkunstwerk that incorporated the motifs from the previous films, forcing conductor and massive ensemble to keep shifting gears to keep up. The 21st Century Orchestra and Chorus takes on The Two Towers. 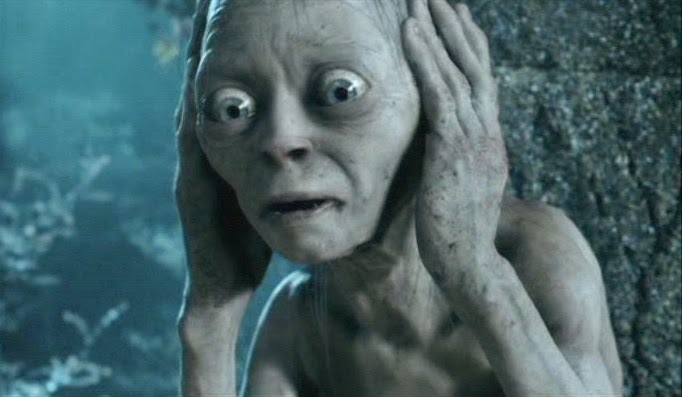 Gollum (played by Andy Serkis) in The Lord of the Rings: The Two Towers. Frame from The Lord of the Rings: The Two Towers © 2002 Wingnut Films/New Line Cinema. Used here for promotional purposes only. The 21st Century Orchestra and Chorus took the next steps on their journey to Mordor on Thursday night, with the first live performance in New York of the complete orchestral score to The Lord of the Rings: The Two Towers. This is the second volume of Peter Jackson's award-winning film trilogy based on the works of J.R.R. 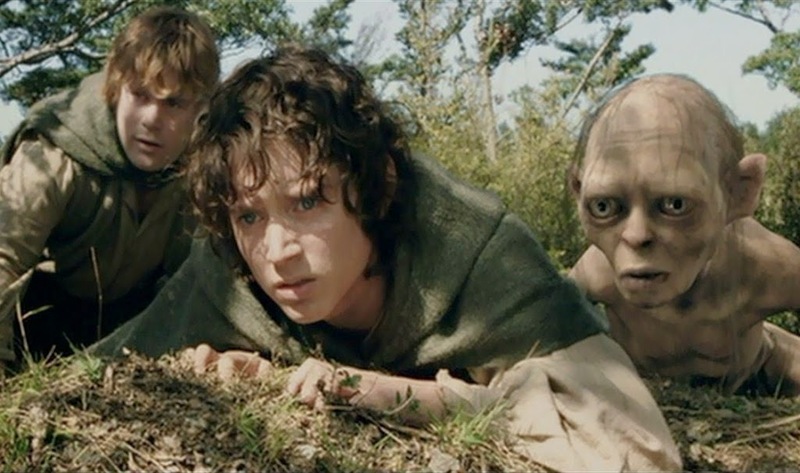 Tolkien, and a film that won two Academy Awards after its premiere in 2002. Towers was the third concert of the orchestra's five-day stand at Lincoln Center's David H. Koch Theater. As before, the score was conducted by music director Ludwig Wicki with the movie shown on a wide screen above the stage. 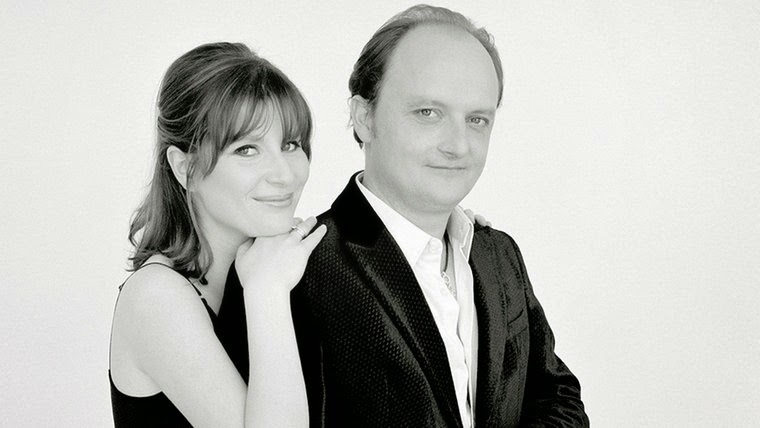 Husband and wife: Lisa Batiashvili (left) and oboist François Leleux. Photo courtesy the New York Philharmonic. 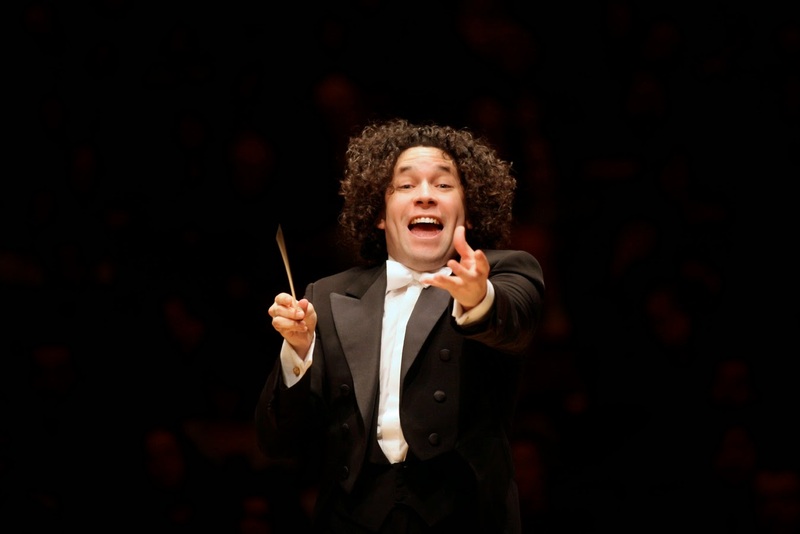 Wednesday night at the New York Philharmonic was no ordinary concert. This is the last time that New York gets to hear its hometown band until May, as the orchestra is about to embark on a massive European tour. Also, it occurred following the appointment of Frank Huang as the band's new concertmaster, a post that will begin in the Fall. Finally, it marked the U.S. premiere of Thierry Escaich's Concerto for Violin and Oboe, sandwiched between works by Bach and Shostakovich. 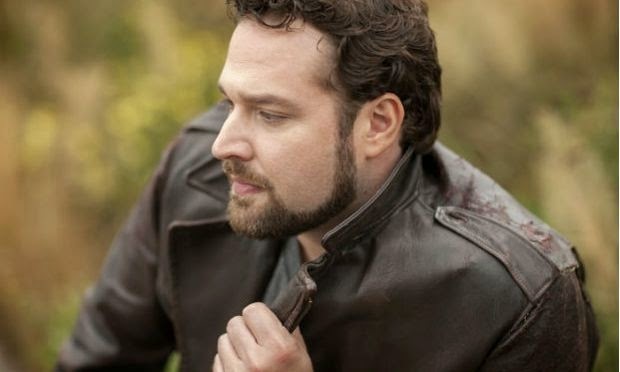 Tenor Bryan Hymel revives the French heroic tenor repertory. Photo by Dario Acosta © 2015 Warner Classics. With his new disc, Héroïque, New Orleans-born tenor Bryan Hymel has drawn off his dueling glove and slapped doubters in the face. Readers of this blog may remember Mr. Hymel from his heroic effort as a replacement Enée in Les Troyens at the Metropolitan Opera on Dec. 26, 2013. That performance in the six-hour five-act Berlioz epic put the spotlight squarely on this young tenor from the South. This first recital disc (released last month on Warner Classics) is more than a labor of love, it is a chance to hear a budding major artist doing what he does best: sing murderously difficult stuff with aplomb, panache and great beauty of tone. Murray Perahia returns in recital at Carnegie Hall. The pianist Murray Perahia returned to Carnegie Hall on Wednesday night. 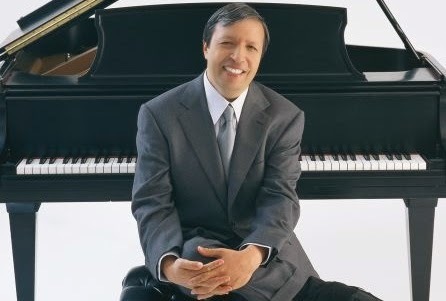 Born in the Bronx, pianist Murray Perahia occupies a special place in the heart of New York audiences. The artist returned to Carnegie Hall on Wednesday night, offering a scholarly, conservative program that could have doubled as a history of the development of the keyboard in 18th and 19th century Europe. A regular at Lincoln Center, this was Mr. Perahia's first concert under Carnegie's aegis since 2013, when Hurricane Sandy forced his recital to be moved to that venue's Avery Fisher Hall. 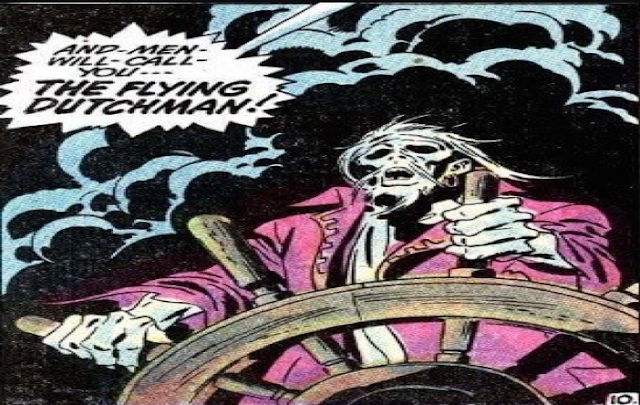 Gotham Chamber Opera offers The Tempest Songbook. production of The Tempest Songbook. Photo by Richard Termine for Gotham Chamber Opera. 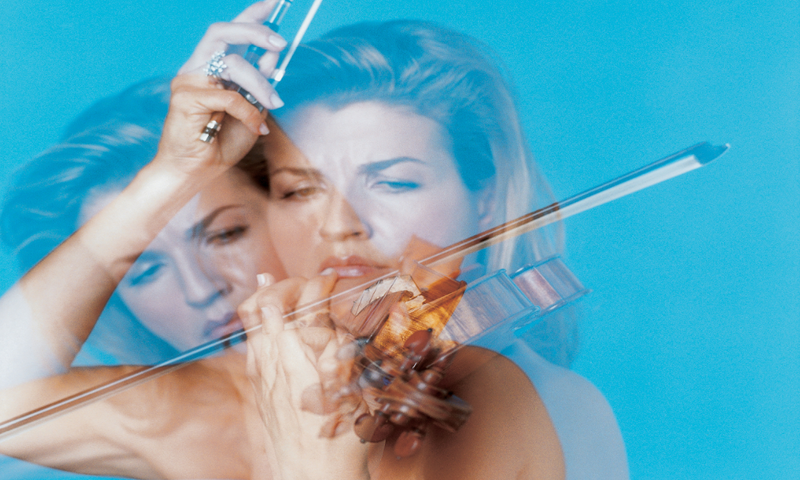 Putting together the works of multiple composers can often have mixed results. When the composers in question are both living and dead, the finished product can lack dramatic cohesion or fail to work as a piece of fully furnished art. With The Tempest Songbook, Gotham Chamber Opera have ended their season with a work that manages this unlikely fusion, bringing together the music of Henry Purcell and Kaija Saariaho in a brief but searing meditation on Shakespeare's final play. Anton Bruckner discovered near Bruckner Boulevard. 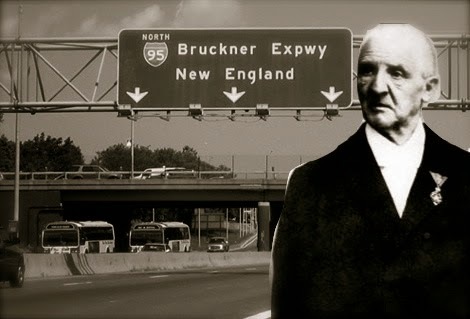 Out on the Boulevard: composer Anton Bruckner. A small elderly man that has been missing for a month in the South Bronx has been identified as award-winning composer Anton Bruckner. Dr. Bruckner had arrived in New York on a cultural mission with the Vienna Philharmonic. He had disappeared at the beginning of March.